John Mawurndjul is one of the most experimental bark painters in Arnhem Land. 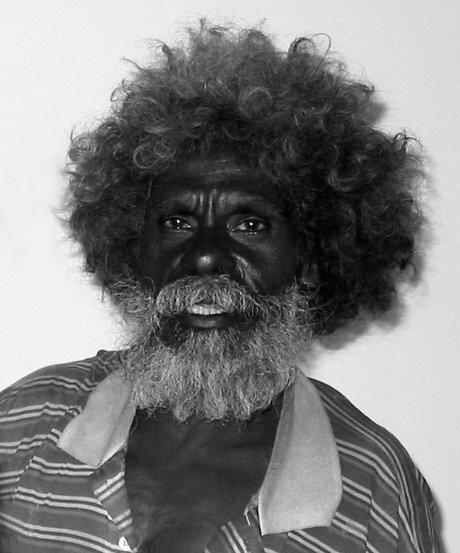 Mawurndjul grew up in his country near Mumeka on the Mann River. He lived for a considerable time in the newly established Aboriginal town of Maningrida in the 1960s, but returned to Mumeka from 1972. Today he moves regularly between Maningrida and his outstation at Milmilngkan, south of Maningrida. He was taught to paint by his father, Anchor Kulunba, his brother Jimmy Njiminjuma and his uncle Peter Marralwanga. Mawurndjul’s early work of the late 1970s reveals his meticulous attention to detail and very fine rarrk (crosshatching) technique. Many of his early works are relatively small images of the rainbow serpent Ngalyod in snake-like form, or of the yawkyawk, mermaid-like creatures that were devoured by Ngalyod in Mawurndjul’s clan lands. However, in the late 1980s Mawurndjul began to produce larger paintings of this subject, which evoked the powerful twists and turns of the body of Ngalyod. The iridescent rarrk across Ngalyod’s body captures the almost electric, radiating power of this being. In other paintings, Mawurndjul experimented with complex interactions of figurative forms, particularly in depictions of Ngalyod involved in the act of biting or swallowing the yawkyawk. Sometimes Mawurndjul shows the dismembered bodies, and at other times they may be merging together. In essence, the imagery of the rainbow serpent swallowing these other beings is a reference to site creation, of the yawkyawk joining with Ngalyod inside the earth and investing it with their everlasting power. More recently, Mawurndjul has empha-sised the geometric aesthetic in Kuninjku painting. He has produced works that comprise grids of crosshatching with circles representing waterholes enmeshed in the grid. These paintings relate to Mardayin body paintings, and focus attention upon the abstract representation of features of the associated landscape. In the context of the Mardayin ceremony, these geometric body designs are said to physically connect initiates to the sacred power of the ancestral beings who made their clan lands. 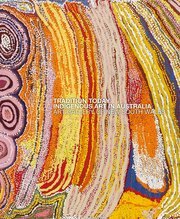 Mawurndjul has said that he is not simply reproducing ceremonial designs in works such as Mardayin ceremony , 2000, but that he is also creating new forms of patterning and composition. Mawurndjul has travelled the world with his art, and studied collections of early bark painting in cities as far afield as Paris. Through his art, Mawurndjul draws upon and extends Kuninjku traditions to promote a wider understanding of his culture.